Time for a little seasonal blog post, before the big day arrives. We love macarons in our house, and chocolate is my favourite. I have added some simple decoration to these to make them a bit more festive, but not so much to take away from the delicious chocolate and almond taste. My preferred recipe is by Yotam Ottolenghi, as it consistently gives great results. I sometimes freeze the shells before filling them, and once they are filled, macarons will keep for a couple of days in the fridge. 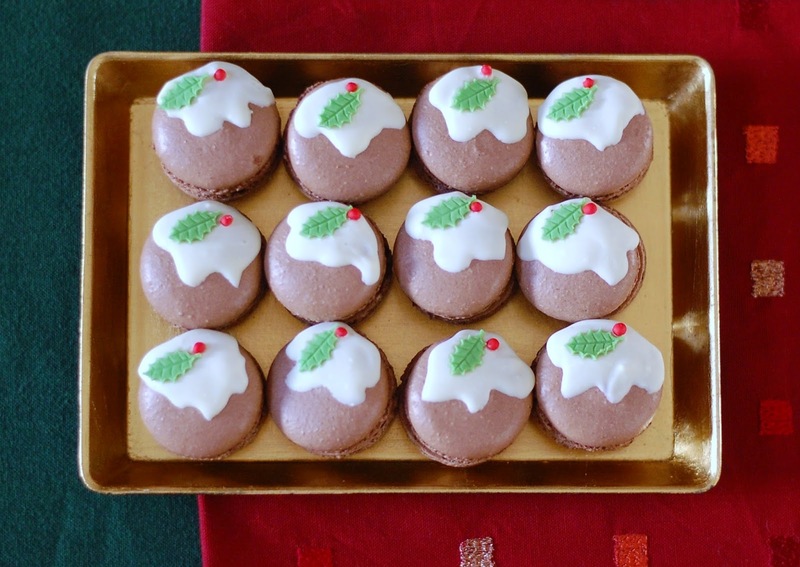 These would make a lovely Christmas gift, and they are great served with bubbles.